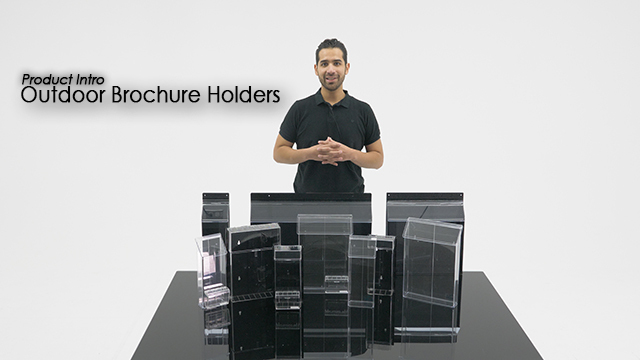 This commercial publication rack houses a collection of standard-sized trifolds. 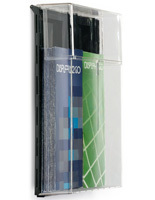 This small unit provides lots of storage due to its depth, which is 2". 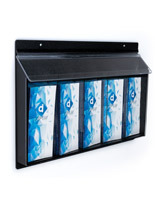 This commercial publication rack, also known as a marketing holders system, allows the public to take a pamphlet when business is not in operation. 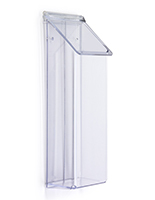 This dispenser is often used for bank deposit slips or envelopes. 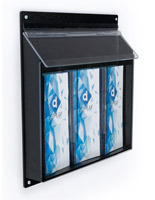 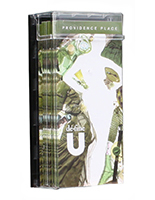 This commercial publication rack that is a flyer system features a hinged cover designed to over-reaches the opening, protecting contents from rain and snow. 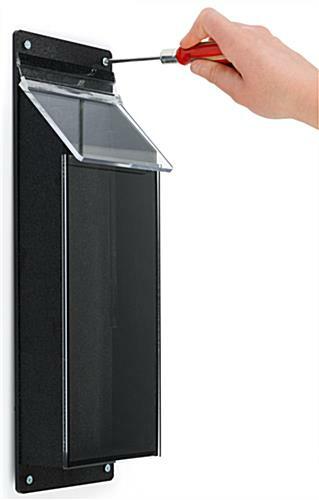 This clear plastic flyer mount has a black ABS backer for a nice two-toned look.